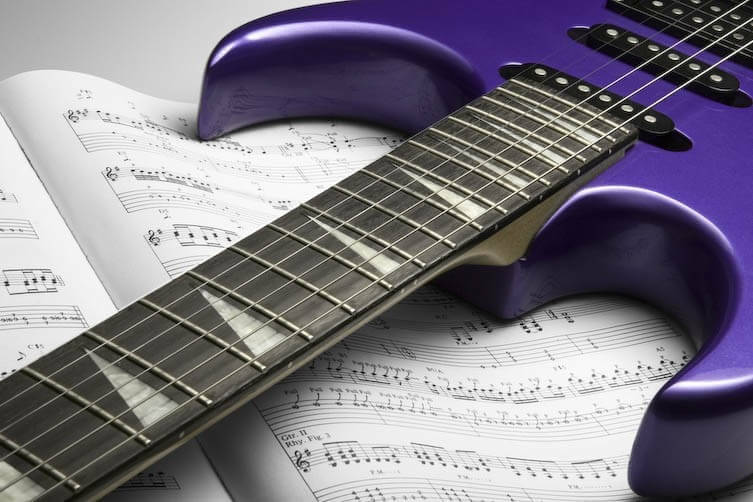 This mini lesson will introduce you to reading basic guitar tablature. Once you've gone through this lesson, you will easily be able to read the sheet music on this site. The six horizontal lines that you can see, with TAB written on them at the start, represent the six strings of the guitar. The top line is the thinnest string and the bottom line is the thickest string. 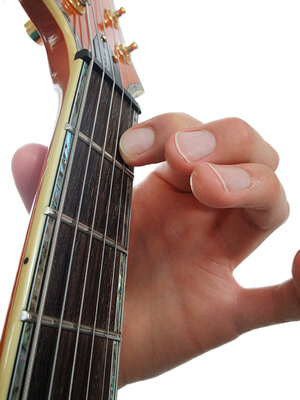 If you place the back of your guitar flat on your lap and look down, the strings will appear as they do on the tablature. The numbers on the string lines tell you which frets to place your fingers on. 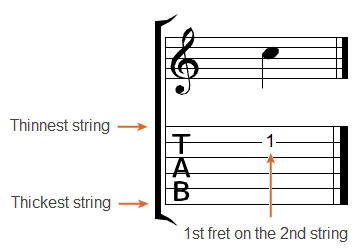 For example, the note displayed below is the first fret on the second string. There you have it, simple! You now know how to read basic guitar tablature. Of course, there is additional notation to represent various techniques and musical expressions. I teach my students to read guitar tablature right from the start so that it opens up a world of music, which becomes immediately accessible. My private one-one lessons will go into much more detail than this, and are completely tailored to suit you.